You are here: Home / Not working? / iMessages and Text Messages Out Of Order? Several users have reported that they have been having issues with text messages and/or iMessages being out of order. The last message may not show up at the bottom, for example, let’s say you send a message asking a question to one of your friends, and your friends answer quickly but the response is displayed before your question. This can create confusion, it will make it for you to difficult to comprehend messages and this may also cause you to miss new messages because the order of messages is wrong. Are you having this issue too? Are you experiencing that conversation threads in the Messages app are occasionally out of order? And you want messages to be displayed correctly? The this short article is for you. Note that you may be having this issue on your phone, iPad or Mac. 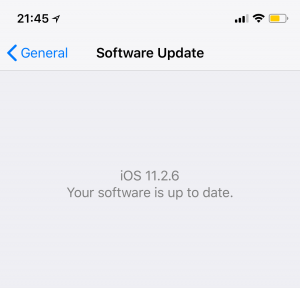 1-Update your iOS device to the latest version of iOS. Simply go to Settings > General > Software Update. Updating may fix this issue because new iOS updates contain many bug fixes. If your device is up to date, you will see that saying “your software is up to date. If you do not see this tap install. 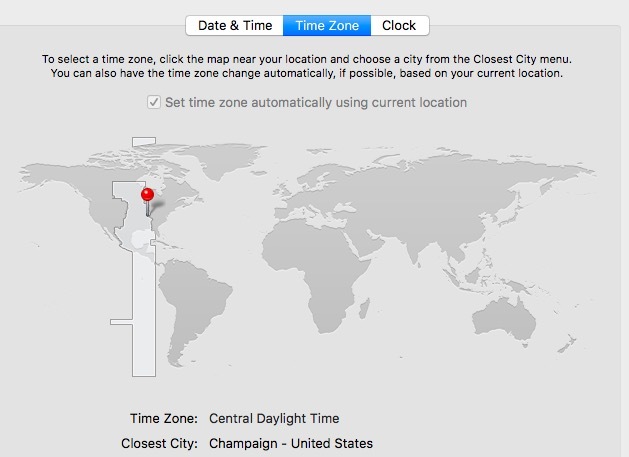 2-Make sure that your date and time settings are correct. 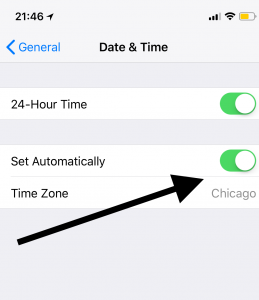 You can check that by going to Settings > General > Date & Time and toggle on “Set Automatically”. If Set Automatically is already turned on, simply turn off, wait a few seconds like 15 seconds and then turn back on. On your Mac, open the System Preferences app, then select Date & Time > Time Zone and select “set time zone automatically using correct location”. 3-Force close the Messages app and re-launch again. Apple’s documentation explains how you can do that. 4-Restart your device. You can go to Settings > General > Shut Down to power off your device. Then turn your phone back on by pressing and holding the on/off button. 5-Turn off and on iMessages. 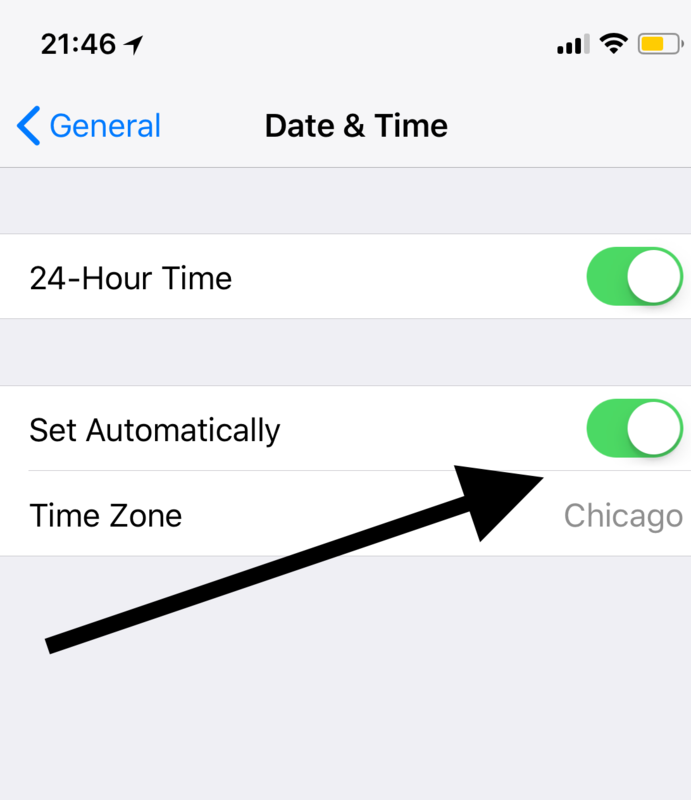 Go to Settings > Messages > iMessage and toggle off iMessage and wait a few seconds and toggle back on again. 6-Reset your network settings. To do this, go to Settings > General > Reset and tap “Reset Network Settings”. Note that doing this will reset your network settings like your wi-fi passwords etc. See also: Crescent Moon Icon in Messages: What Does It Mean?